I am NOT a curry fan but my pantry held a lonely butternut squash and I was in the mood for soup. Every ingredient was on hand, except for the curry powder. Pal, Maribeth, to the rescue. This recipe came from the cookbook, Colorado Classique, by the Junior League of Denver. WOWZA, is it good! I was so excited to share the news of this great recipe that I called older daughter, Megan, to extol the virtues of this wonderful fall soup. This recipe will officially become one of my new traditions. 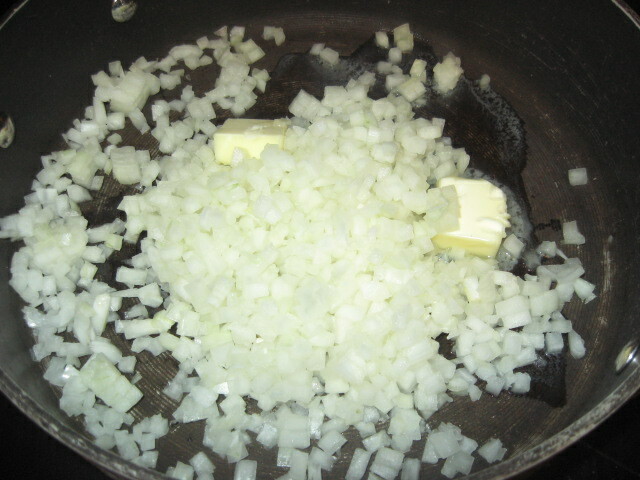 In a 3 quart saucepan, sauté onions in butter for about 5 minutes or until soft. 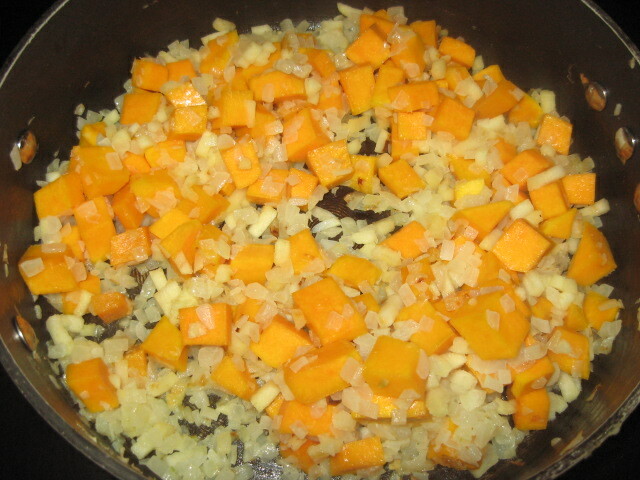 Add squash and apples and sauté for 3 minutes, stirring occasionally. Add flour, curry powder and nutmeg. Cook for 2 minutes. Add chicken broth, milk, half-and-half (or cream), and orange zest and juice. Simmer slowly, uncovered for 15-20 minutes or until the vegetables are tender. 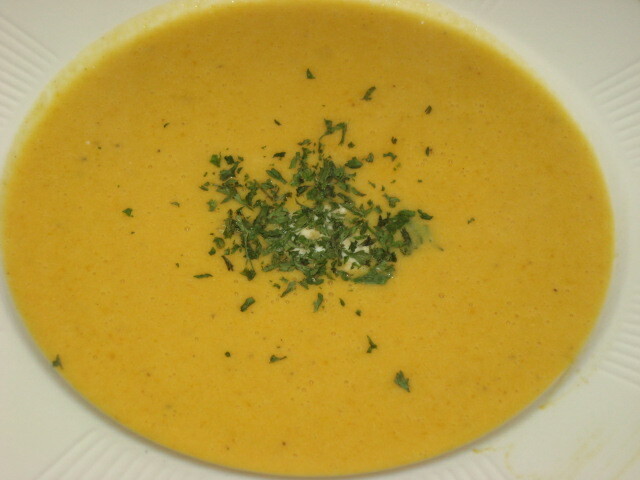 Puree the soup in a blender or food processor. Season with salt and pepper and sugar. Serve hot topped with a dollop of cream and a sprinkling of parsley. This soup improves with time. Prepare a day or two in advance and refrigerate until ready to heat and serve.